Fourth of July usually means a day spent barbecuing and watching fireworks under the stars. 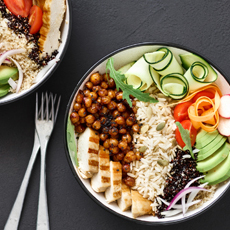 And while most of us end up eating hotdogs and hamburgers off the grill, there’s just so many other out-of-the-box food ideas that can take your celebration to the next level. That’s why we put together these five, festive Fourth of July dishes to add to your spread. 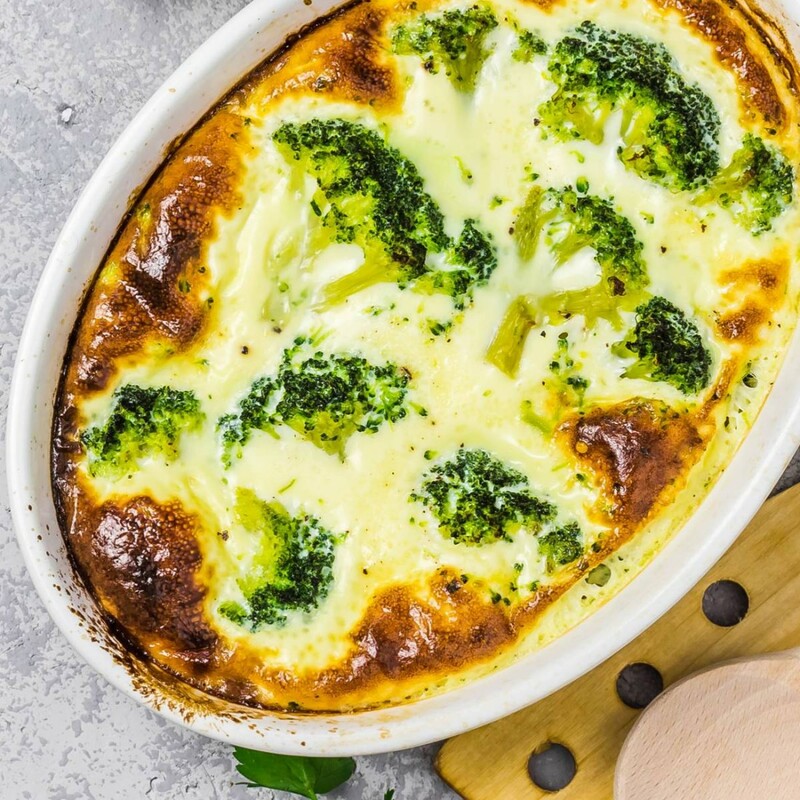 Aside from being fun and delicious, each recipe features healthy ingredients so you and your family can enjoy the holiday worry-free. Every backyard celebration calls for kabobs! 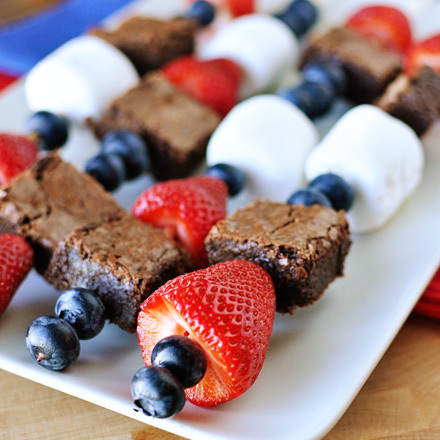 Switch things up with this dessert version made with brownies, red strawberries, white marshmallows and blueberries. Simple and fun-to-make, the kids will love helping you assemble this treat. To make them even healthier, try our fudgy black bean brownie recipe. 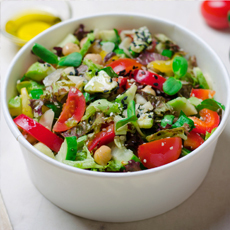 Kick off your Fourth of July party with this patriotic, protein-packed salad! Made with three bean varieties, every bite will be filled with vibrant holiday color. With a healthy dish this tasty, you won’t be tempted to reach for unhealthy options. 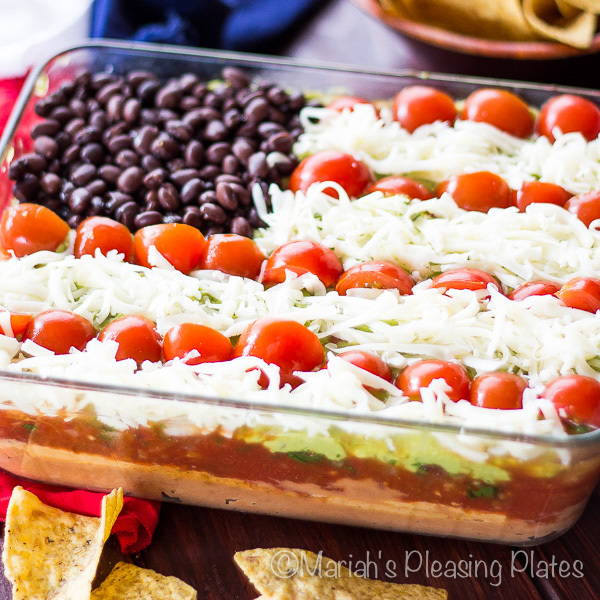 Nothing screams Fourth of July like an edible American Flag! This recipe will take your classic party dip to the next level by adding tons of holiday spirit. With delicious layers including hearty black beans, creamy guacamole and refreshing pico de gallo, your friends and family won’t be able to resist going for round two. Put a surprising spin on your salsa with this festive red, white and blue variation. 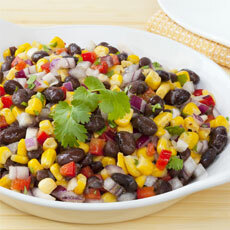 While salsa is traditionally spicy, this unconventional recipe adds some sweetness with corn and blueberries. One taste of this combo and this recipe will become a yearly party staple. 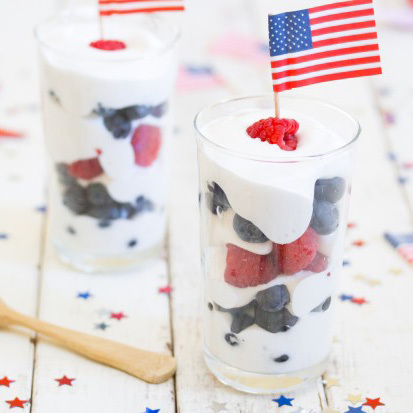 For the perfect ending to your Fourth of July party, surprise your friends and family with a patriotic parfait! This recipe features a homemade marshmallow cream made from garbanzo bean liquid and adds fresh berries. After tasting this delicious treat, guests will be shocked to learn it’s made from healthy ingredients. Fun and good-for-you, these fives recipes will be a major holiday hit! Have your own festive, healthy Fourth of July tradition? Share your recipe with us on Facebook or Instagram and we may share your idea with the rest of the Green Valley community.